As people age, they naturally begin to lose subcutaneous fat in their face. A healthy amount of that fat is what gives the face definition and the appearance of youth. Over the course of time that fat dies off and so the facial muscles work closer to the skin, making crow’s feet and smile lines more apparent to the naked eye. As the facial skin stretches due to this stress, the face loses volume. While this loss of fat is natural and inevitable, it can be combatted. 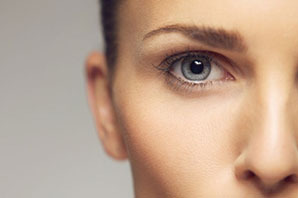 One method of reversing the slow loss of vibrancy from the face is through the injection of fillers. Fillers vary by brand but are similar in what they do to fill the face of our patients. Our most popular brands include Juvederm, Restylane, Sculptra, and Volbella. Among the most common ones we use are hyaluronic acid (HA) based which promotes youthful skin. Most brands of fillers last several years* before they need to be done again but there are longer lasting options for you to consider, too. If you’re looking for a way to improve your appearance without undergoing an extensive plastic surgery procedure, a filler could be what you’re looking for. Why Choose Our Plastic Surgeons for Your Dermal Fillers? You have to do what is right for you. Getting to know our dedicated team of plastic surgeons is advisable. You’re able to have your questions answered and get a feel for how our doctors inject dermal fillers. This clears up any concerns you have about the process and also gives you an idea of what type of aftercare is required to help you heal quickly. Take some time to come up with questions that you want to ask our plastic surgery team. They’ll be able to address your inquiries with confidence and professionalism as this is a routine procedure that they do for many patients that come to our practice. Our plastic surgeons are among the best in Beverly Hills for dermal fillers. See for yourself by booking an appointment with us today. Facial fillers help improve the appearance of your skin long-term. If you want to benefit from smoother, healthier skin, come in for a consultation right away. We want to help you achieve everything you set out to do. That’s why it’s important to put your needs first and call us to set up an appointment. We’ll get to know you and the reason why you want cosmetic surgery. For more information on filler injections, contact our office to set up an appointment for a consultation.